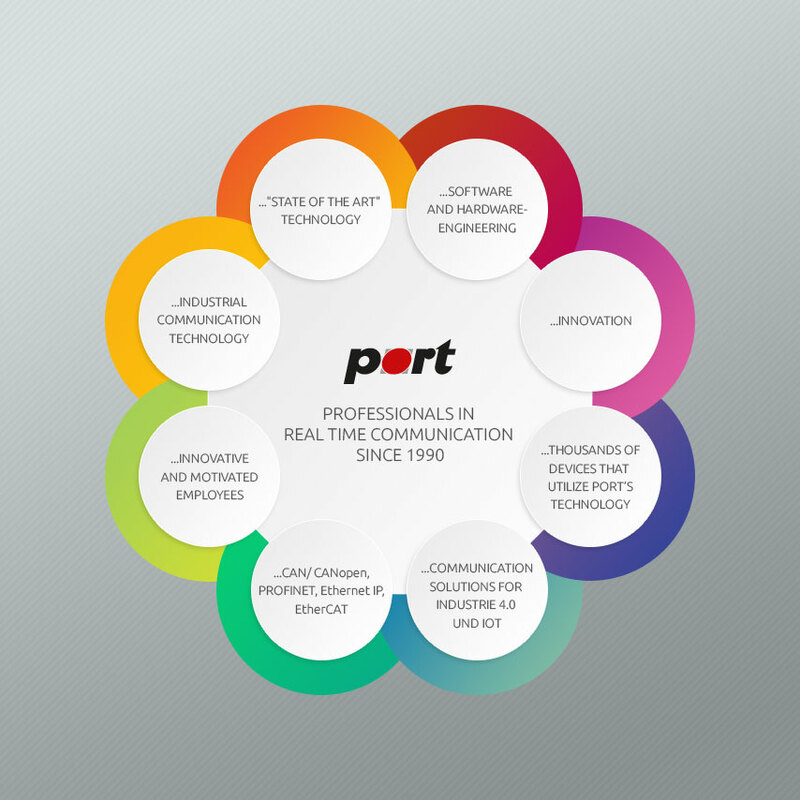 port GmbH industrial real time communication - About us! port has been a leading member in the CiA for many years (CAN in Automation registered association). We are a competent partner for all questions concerning CANopen and its latest developments, in particular with regard to the drive profile definition. port chairs the Special Interest Group Drives & Motion Control. With the beginning of the great period of Ethernet is coming into automation industry, port is working on concepts using it together with CAN. Since late 2001 CiA has established a working group defining a CANopen Gateway protocol, led by a port engineer. Thanks to the involvement of our development engineers within the working groups of the CiA and to experience gained from many different research and industrial projects, our CANopen source library is constantly being up-dated with the latest requirements. Our many customers, including Siemens AG and the Volkswagens AG, ensure that our CANopen library has achieved a high level of maturity. This expresses itself among other ways in the portability of the source code. Implementations are available for various processors from 8 bits to 32 bits, Little or Big Endian data item adjustment and all usual CAN controllers. This advantage is used in particular by customers with applications, which use the same source code or the same programming interface in different systems. They would also like to allow the option of a portation to other systems in the future.